Water is a precious commodity. We use it every day, but we often don’t pay attention to how much of it we use. 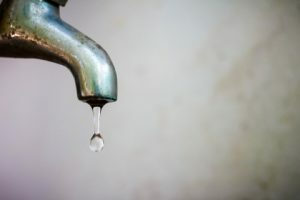 In today’s post, we’ll take a look at four ways you can become more water-efficient, lower your utility bills, and preserve the environment. The Great Plumbing Co. can help you keep your home efficient with a number of different plumbing services. Schedule an appointment through our website if you need residential plumbing, and read on for easy water conservation tips! On average, toilets account for roughly a third of every household’s water consumption. Even if you plan to replace your toilet in the near future, you should get into the habit of only flushing your toilet when you’re actively using it. So, instead of tossing tissues you use to remove your makeup or blow your nose into the toilet, always make a conscious effort to throw them into the trash. You’ll almost certainly see a reduction in your monthly water bill! Leaks are one of the most insidious plumbing problems we address. Leaks are rarely so bad that they have to be fixed the moment they’re noticed, but this means that they often go unaddressed for months. In some cases, homeowners simply become used to them and never call a professional plumber to fix the problem. 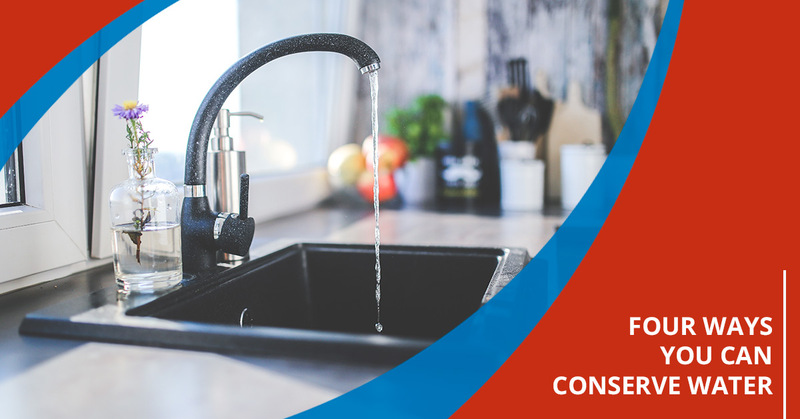 However, even small leaks can waste thousands of litres of water each year, so fixing a leaky faucet or showerhead should always be one of your top priorities. If you have an older toilet, then it’s likely that it uses between 19 and 26 litres of water every time you flush it. This is much more than it actually takes to flush waste, and installing a low-flow toilet can reduce your consumption to roughly 4.8 litres per flush. Even if you opt for a toilet that uses slightly more water, both you and the environment will be better off in the long run. While we’re on the topic of toilets, we noted a few of the most common signs that you need a new toilet in a previous post, so be sure to catch up on that information if you’ve been considering purchasing a new unit for your home. It might sound counterintuitive, but using your dishwasher instead of washing your dishes by hand is actually more efficient. Numerous studies have shown that it takes less water to clean a full load of dishes when they’re in a dishwasher, but it’s important to note that your dishwasher needs to be completely full. If it’s only partially full, then you’ll actually be using more water to clean fewer dishes. Keep an eye on our blog page, as we’ll be adding even more water conservation tips in the coming weeks and months. If you need residential plumbing in Toronto or any of the surrounding areas, then schedule an appointment with The Great Plumbing Co. through our website!